7 Gauge Steel vault galvanized weighs almost twice as the average vault. Includes 25-35 lbs. of zinc coating on inner and outer surface. Four times the lasting protection of 12 gauge steel. Triple wall protection combines the durability of reinforced concrete with a Fiberlon plastic liner for added protection and the beauty of a bronze inner liner for extra strength. Cover carapace is also covered in gleaming bronze. Bar handles add subtle elegance. Base and cover merged with Doric Integra-Seal; Doric Integra-Bond bonding system. 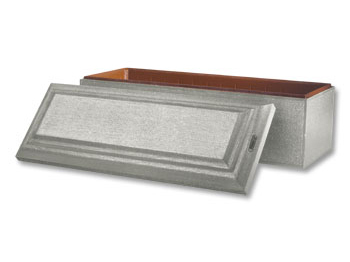 Triple wall protection combines the durability of reinforced concrete with a Fiberlon plastic liner for added protection and the beauty of a stainless steel inner liner for extra strength. 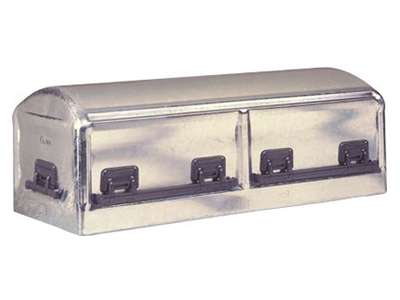 Cover carapace is also covered in brilliant stainless steel. Bar handles add subtle elegance. Base and cover merged with Doric Integra-Seal; Doric Integra-Bond bonding system. 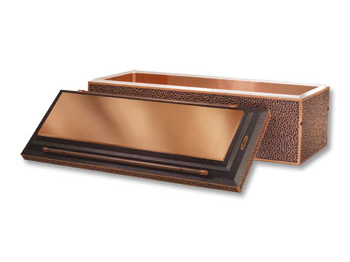 Triple wall protection combines the durability of reinforced concrete with a Fiberlon plastic liner for added protection and the beauty of a copper inner liner for extra strength. Cover carapace is also covered in rich copper. Bar handles add subtle elegance. Base and cover merged with Doric Integra-Seal; Doric Integra-Bond bonding system. 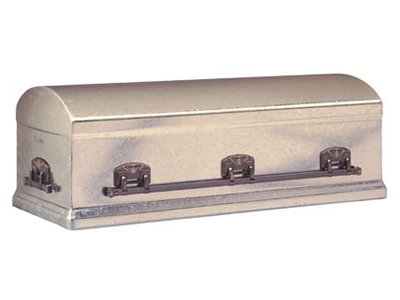 10 Gauge Steel galvanized vault with 25-35 lbs. of zinc coating on inner and outer surfaces. The first and only one piece metal vault, with six fluted columns and graceful contours, this vault combines beauty and strength. 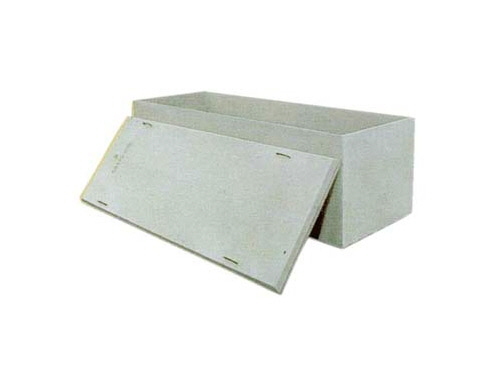 Double wall protection combines the durability of reinforced concrete with a Lustra-Tech plastic liner with strengthening ribs on all sides for added protection. 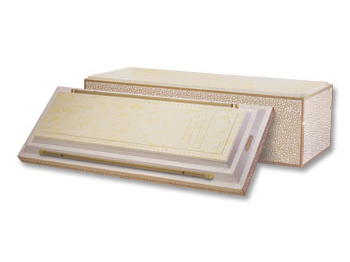 Matching cover carapace also uses Lustra-Tech for an elegant marble-look finish in your choice of symbolic Greek key and wheat designs or cathedral window style. Base and cover merged with Doric Integra-Seal; Doric Integra-Bond bonding system. 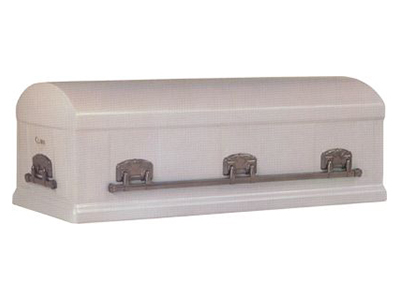 Double wall protection combines the durability of reinforced concrete with a Durapreme polystyrene plastic liner with strengthening ribs on all sides for added protection. 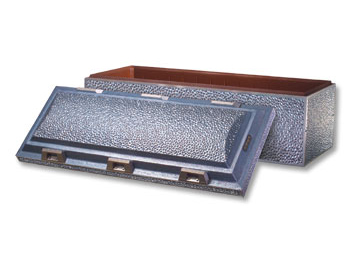 Matching cover features six decorative handles for added beauty. Base and cover merged with Doric Integra-Seal; Doric Integra-Bond bonding system. The Standard vault is made of high grade 12 gauge steel. "Clarkote" finish provides beauty and peace of mind. Tested to provide 100% protection. Basic Double wall protection 5000PSI reinforced concrete with a Durapreme polystyrene plastic liner with strengthening ribs on all sides for added protection. Minimum lined unit. Base and cover merged with Doric Integra-Seal.